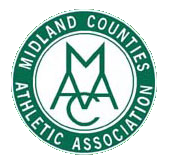 everything you need to know about Midland Athletics. The application form can be downloaded from the individual course pages. Below is a form that we would like all clubs to complete to show their intent to compete in the MWCCL in the 2019-20 season. and also the contact details for your club treasurer so that we can send them the invoice for affiliating to the league for the 2019-20 season. 2019 Outdoor Track & Field Championships.